Will Jitendra Singh replace Gehlot to become Rahul's most trusted advisor? 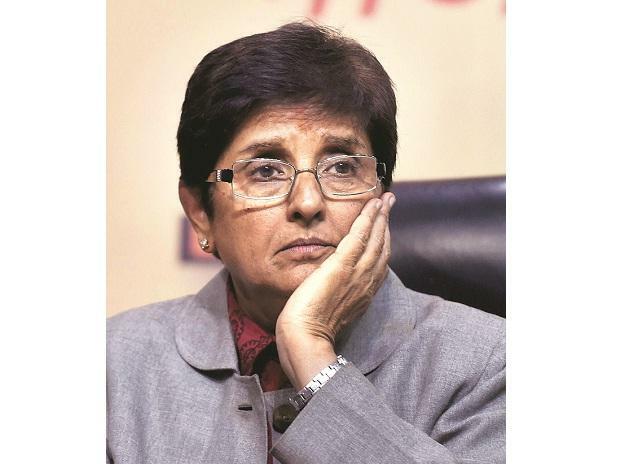 Puducherry Lieutenant Governor Kiran Bedi (pictured) was ticked off on social media and by Opposition parties for ridiculing Chief Minister V Narayanasamy, who was on a symbolic dharna to “protest” Bedi’s alleged interference in the governance of the state. “A member of the media asked me an interesting question. ’Is dharna also yoga?’ I said, ‘Yes it is. It depends on the purpose for which you sit... what kind of asanas you perform and the sound you create.” Bedi tweeted in the afternoon with a picture of a crow and headlined kauvva asana (crow yoga). Congress leaders and social media users said the post was in poor taste; some users posted photographs of Bedi sitting on a dharna during the Anna Hazare-led anti-corruption movement in New Delhi in 2011. When Congress president Rahul Gandhi picked Jyotiraditya Scindia to strengthen the party in western Uttar Pradesh and made him in-charge of party affairs in the region, some Madhya Pradesh Congress leaders had heaved a collective sigh of relief. They were happy in the thought that Scindia wouldn’t have much time to devote to Madhya Pradesh and would have no say in the ticket distribution process before the Lok Sabha election. Their joy has proved short-lived. There are clear indications that not only will Scindia contest from his traditional Guna-Shivpuri seat, he is also demanding a few more seats in the Gwalior-Chambal region — where Congress registered a thumping victory in the recent Assembly polls — for some of his close aides. The Swadeshi Jagran Manch, an affiliate of the Rashtriya Swayamsevak Sangh, has spearheaded a campaign against the use of Chinese goods over the past couple of years. On Monday, the Manch’s convener, Ashwani Mahajan, wrote to the Prime Minister, welcoming the government’s decision to withdraw the most favoured nation status to Pakistan in the wake of the Pulwama terror attack. Mahajan demanded the government create “similar hurdles for Chinese companies” because China has blocked India’s efforts to get the United Nations to list Jaish-e-Mohammed chief Azhar Masood as a global terrorist. The Manch also demanded the government ask people to uninstall Chinese apps, like TikTok and Helo, which have been banned in countries like Indonesia, from their phones. It said the government should curtail the operations of Chinese telecom companies in India.